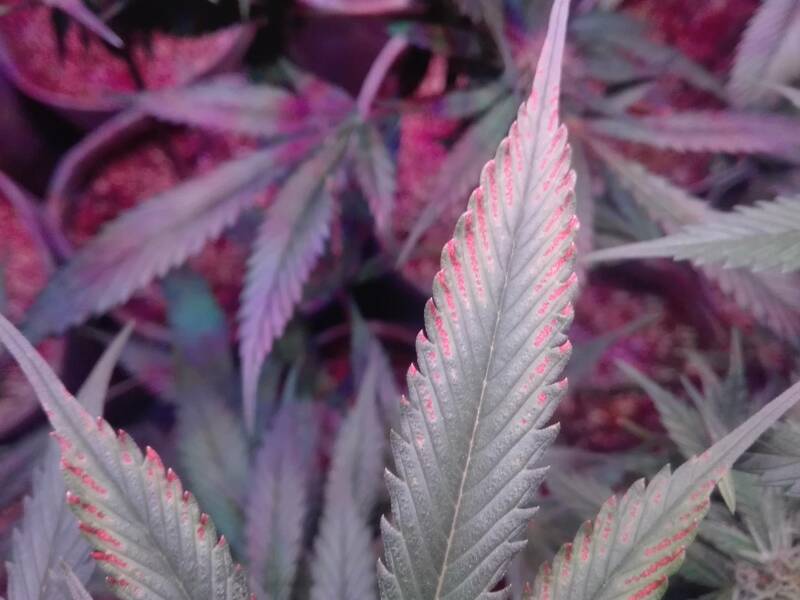 SOG Exodus Cheese grow - Leaves of some plants showing possible deficiencies? 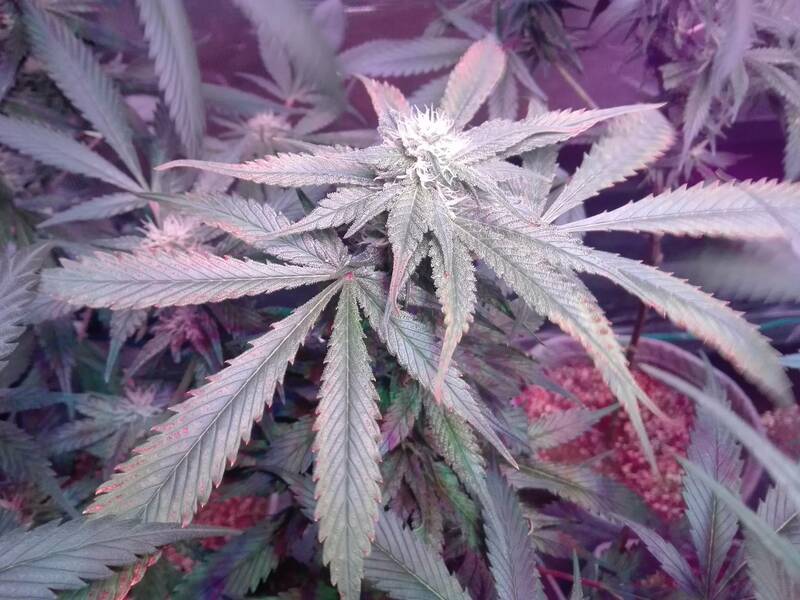 I'm helping someone out with a grow, and all is looking great in the 4th week of flowering currently, with 20 Exodus Cheese plants growing SOG-style, but 2 out of the 20 are showing a bit of a possible deficiency/unhappiness. 1. 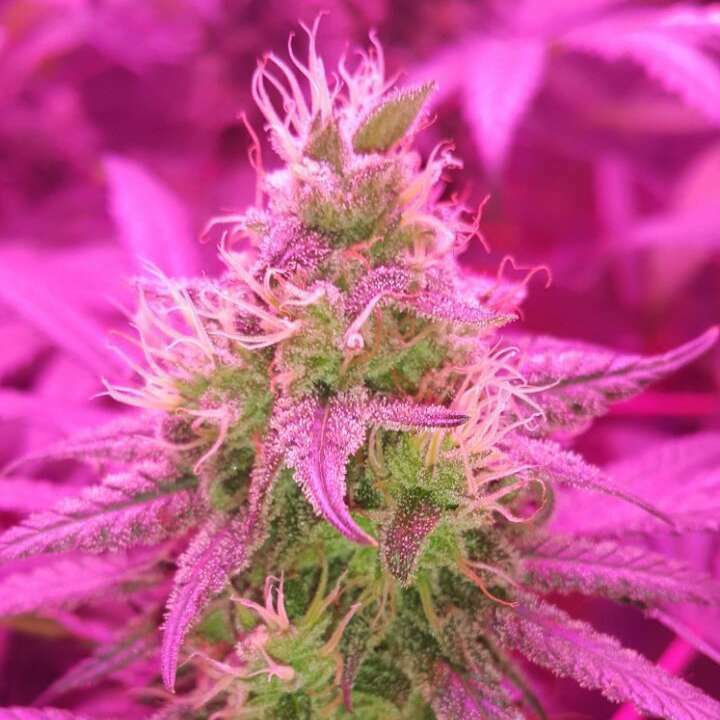 Are you growing from seed or clones? 2. How old are your plants? I think it is 3rd generation, meaning a clone from a clone from seed. 3. How tall are your plants? 4. What size containers are they planted in? 5.What is your soil mix? Coco coir (50%), Perlite (50%), Turbo Grow, Dolomite Lime, Rock Phosphate, Powdered Kelp, Mycoroot, Diatomaceous Earth, Trichoderma & Worm Castings. 6. How often do you water and what type of water do you use and how much you give per watering? Every 3rd to 4th day, using RO water and 1L per plant. Alternating between clean water and fertilized water to prevent possible buildup. 7. What is the pH of your water? 7, but add pH down at 0.5ml per Litre water to lower pH to about 6.5, every 2nd watering with fertilizers/additives. 8. What kind of fertilizer do you use and what is its NPK ratio? Use Biobizz's Grow 4-3-6, Fish Mix 5-1-4, and Biobloom 2-7-4. I also add Kelpak (liquid kelp) at 2ml/L, Worm tea at 20ml/L, Calcium Magnesium Nitrate at 1ml/L, Aminomix at 0.3ml/L, pH Down at 0.5ml/L, every 4th week Epsom salts at 3ml/L, every 2nd week 2ml/L blackstrap molasses and 0.5ml/L Environoc 401 every 2nd week. 9. Do you foliar feed or spray your plants with anything? 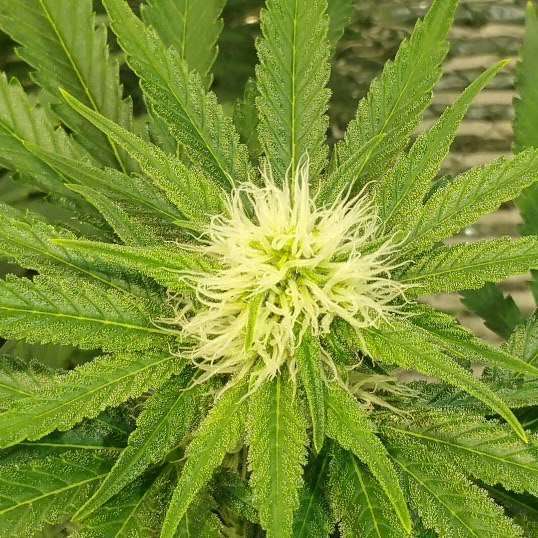 Plants were only sprayed with Neem solution once during Veg and once during early flowering. 11. 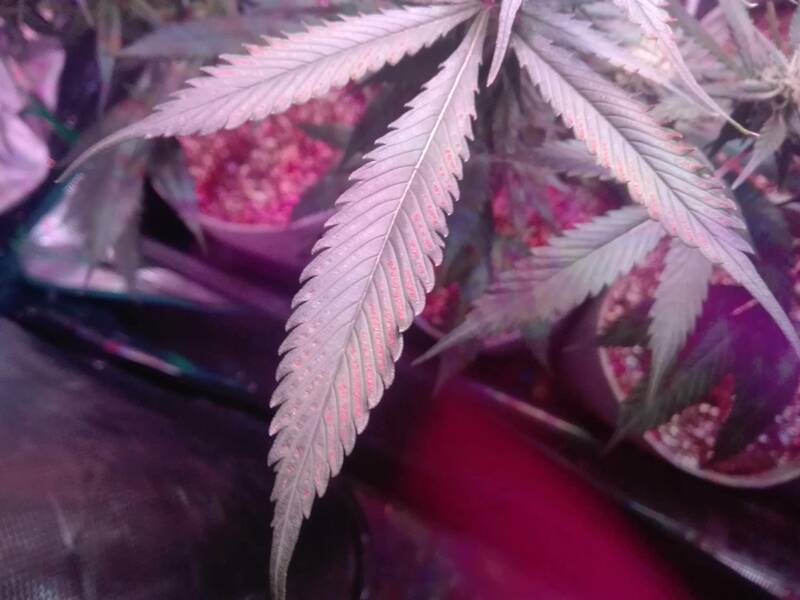 How close are your lights to the plants? 12. What size is your grow space in square feet? 13. What is the temperature and humidity in your grow space? 14. What is the pH of the soil? 15. What is the pH of your run off? 16. Have you noticed any insect activity in your grow space? Here are some pics of the leaves of concern. Wow looks like you made something easy into a very complicated situation. How much run off do u get when you water? What's the ppm of your nutrient solution? It looks like a hydro mix so you should be watering with nutes every day. Personally I think your using to many additives in your mix. Shoot for at least 30% run off every watering. 198 topic views. 0 members, 34 guests and 53 web crawlers are browsing this forum.